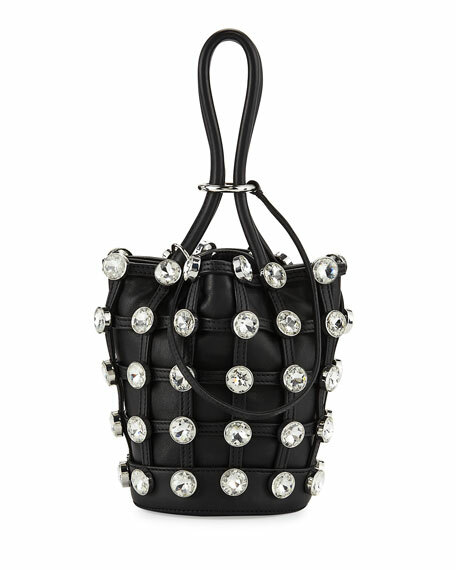 Alexander Wang napa leather caged bucket bag with large glass stones. Rolled top handles, 6" drop. 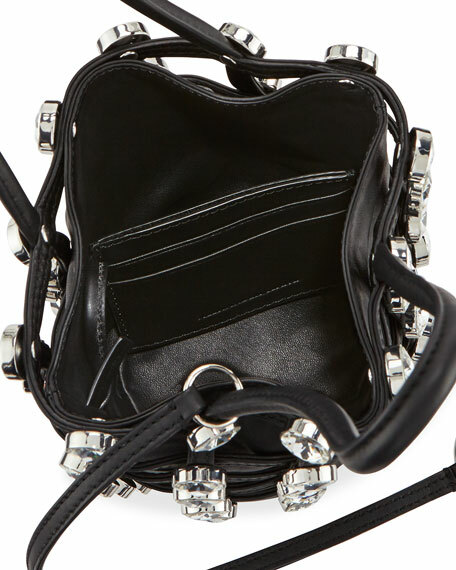 Tethered ring cinches open top. Interior leashed card case with three card slots and center open slot. 6"H x 4.5"W x 4.5"D.
For in-store inquiries, use sku #2102616.